Windows Modules Installer Worker is common and popular error among the Microsoft Windows operating system. This error mostly comes in the systems running on Windows 10, this error causes many problems in your computer while you’re working or playing games. It is must to fix this error before anything goes wrong, as it makes your CPU high Usage and it will harm your processor. Windows Modules Installer Worker is especially found in the Windows 10 PCs, so if you’re using Microsoft WIndow s10 then you might be encounter this error. This error doesn’t damage your computer or files located on your hard drive but it will make your system extremely slow. You can check your system usage by just opening the Windows task manager. It will show you that which process is using highly your CPU and memory or system’s resources. Sometimes you noticed that when your playing games or using heavy software like editing (Photoshop and Illustrator) then you might be seen that the program goes in “Not Responding” state itself and you’ve no any chance left except force restarting your PC 🙁 So you should know why this error comes in your PC again and believe it really irritates me while I’m doing my work. This error always occurs due to Windows Updater of Windows 10. Yes, you read it right if you want to know how this error comes and slow down your computer then continue reading this post. 1 How Windows Modules Installer Worker Error Comes? 2 Why Window modules Installer Worker Windows 10 Comes? 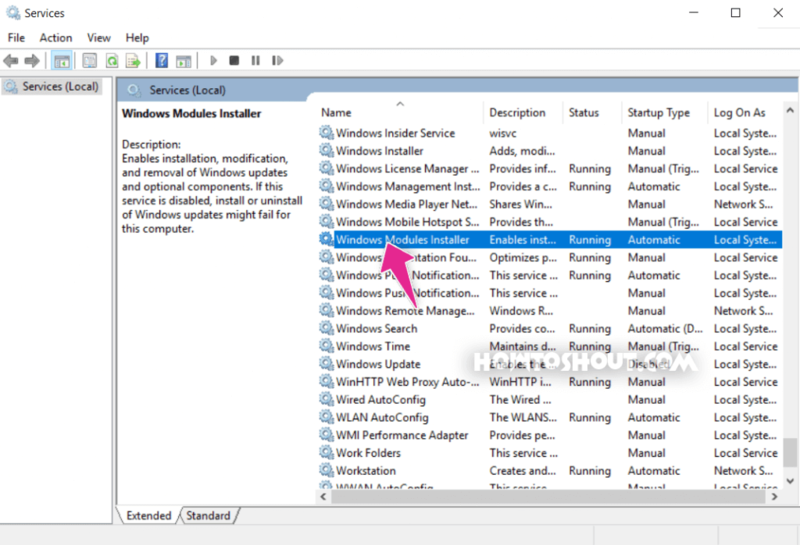 3 How To Fix Windows Modules Installer Worker in Windows 10? How Windows Modules Installer Worker Error Comes? As I said above that, Windows Modules Installer Worker is not an error actually but people call it an error because it irritates them and slows down their PC without any reason even if they have enough system specifications. Microsoft included a tool called Installer Worker tool, that actually use to fetch the WIndows updates and install the all necessary updates like security patches and others on user’s PC. Now you think how this slow down your PC, as I’ve said it’s part of Windows Update! We all know very well that in Microsoft Windows OS if any program goes unstable means when it losses its stability then it will hang your PC or you can it freeze the other process as well that’s why your PC is no longer responding and you need to force reboot it. The same thing is with Windows Modules Installer Worker, when it goes unstable then it shows a popup with tiworker.exe windows modules application on your PC that indicates an error that freeze and slow down your PC. 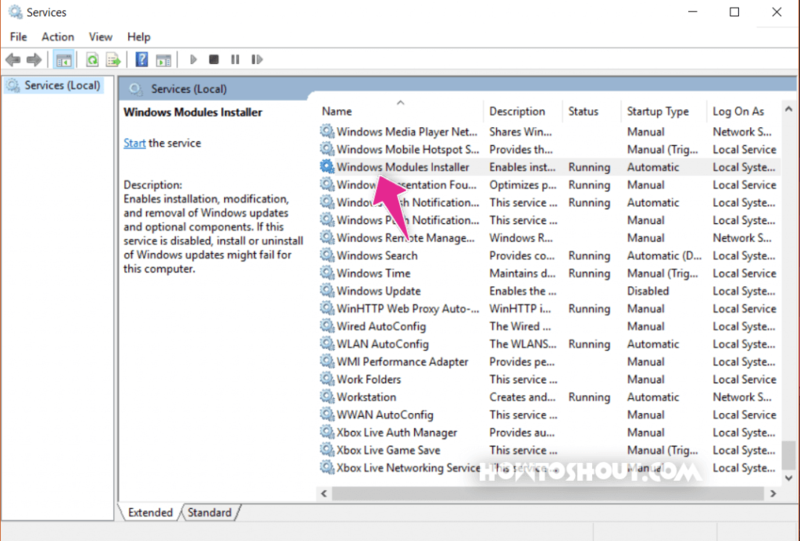 Why Window modules Installer Worker Windows 10 Comes? I think it doesn’t any detailed explanation as I’ve already cleared your all doubts that what is the meaning of this error. Its all about the tiworker.exe application found in every Windows OS to download and install the important Windows Updates on your PC. But sometimes, however, tiworker.exe is unstable then it will make your computer slow and uses the high resources of your PC. Sometimes the CPU and memory usage goes up to 90%.It means your CPU processing lots of processes at the same time and due to this, it freezes and lags. Then you force restart your PC or holding power key to start your Computer again to get it back in normal condition, but that’s not the permanent fix, its the temporary fix and error may come again in future. So here today I’ll show you some best methods to fix the “Windows Modules Installer Worker Windows 10” error. And it will solve your problem for sure. 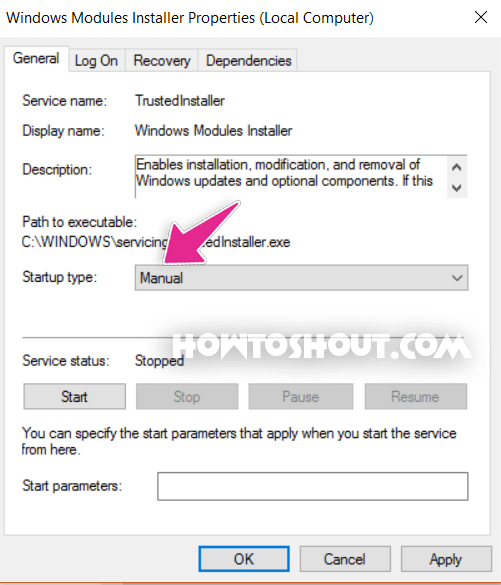 How To Fix Windows Modules Installer Worker in Windows 10? Here are 4 solutions you can try to fix Windows Modules Installer Worker error in windows 10 and these are the permanent fix, so you need not worry about after using these methods. So without further ado let’s find how to fix this problem? Windows Automatic Updates are one of the most irritating things in Microsoft Windows operating system whether it is Windows 7 or Windows 8.1, you’ll get the Automatic updates once your system gets connected to the internet. So this will create the issue in your system like you’re using the free copy of Windows downloaded from Microsoft’s Website and when you connect to internet then it will show the Windows is not genuine or activated error at startup. And another problem is automatic updates run in the background and slow down your PC while you’re playing games. To turn off Windows Automatic Update follow steps below. Now your CPU usage should be normal and your computer will no longer lag and freeze. Now you PC will not show the Not Responding. Windows automatic update has been turned off so your PC is now run smooth and you just got rid of Windows Modules Installer Worker error. Sometimes turning off Windows automatic update won’t work so in this case you can only do a repair startup. It will fix your Windows’ startup issues and problems within few minutes. To perform Windows 10 Repair Startup you need a bootable USB for Windows 10 or if you don’t have bootable USB flash drive, then follow below steps to perform repair startup. Now Startup Repair should start and it will fix all your Windows startup problem from Welcome Screen Loop problem to Windows Module Installer Worker error it will fix everything and brings the Windows same as fresh installed one. As I mentioned above what is TiWorker.exe, how it will slow down your computer and you have to force restart your PC to fix this. So to overcome whole procedure all you need to do is just set the priority of Windows Modules Installer to be Low. To do so follow below steps. 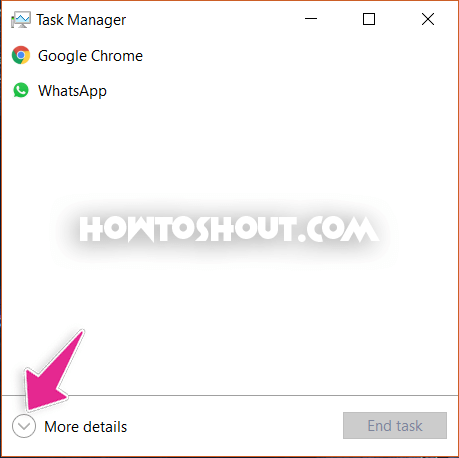 Open Task Manager by pressing (Ctrl + Shift + Esc) keys or right-click on Taskbar and select the Task manager. Now click on the More details to expand the task and processes. Go to Details tab and find the TiWorker.exe process. 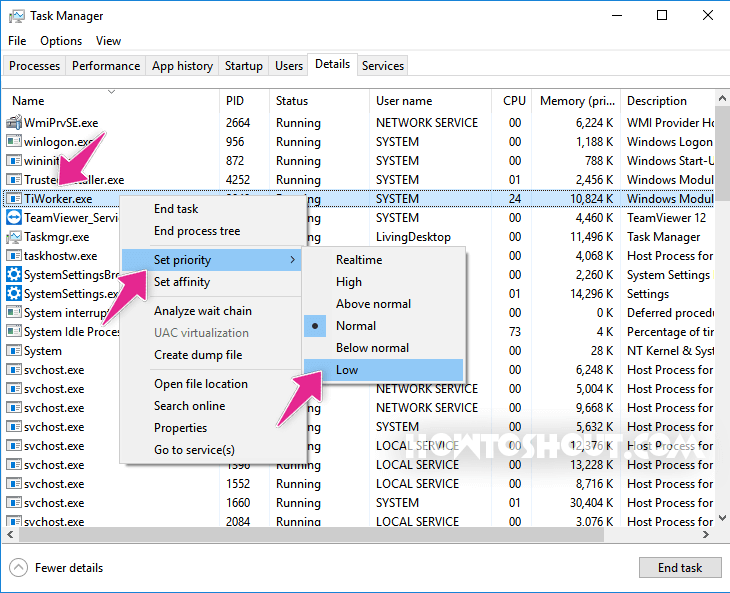 Now the Windows Modules Installer Worker will use low system resource means it will never create any high CPU usage problem and no longer freeze your PC. 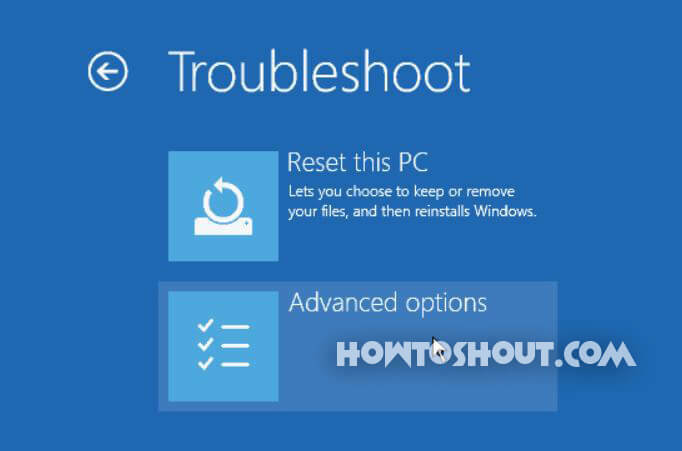 Windows Update Troubleshooter is a pre-installed application in Windows 10 and it just works as Windows Startup Repair. 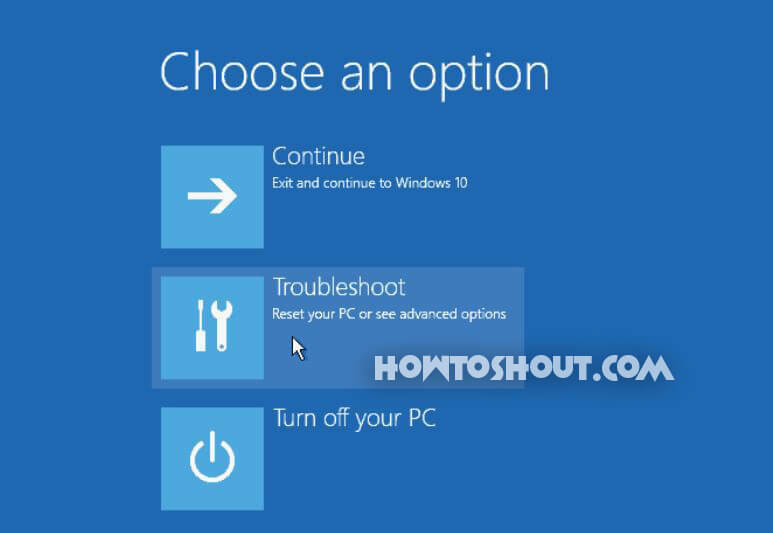 The Windows Update Troubleshooter can also fix the Windows Modules Installer high CPU usage issue. 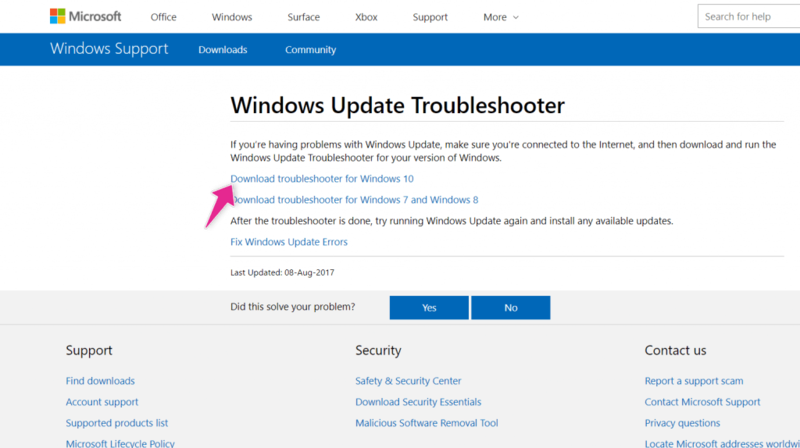 It is the easiest way to fix this problem and anyone can try it to fix any problem on your computer as it downloads and fixes all error on your Windows 10 by installing new required updates. 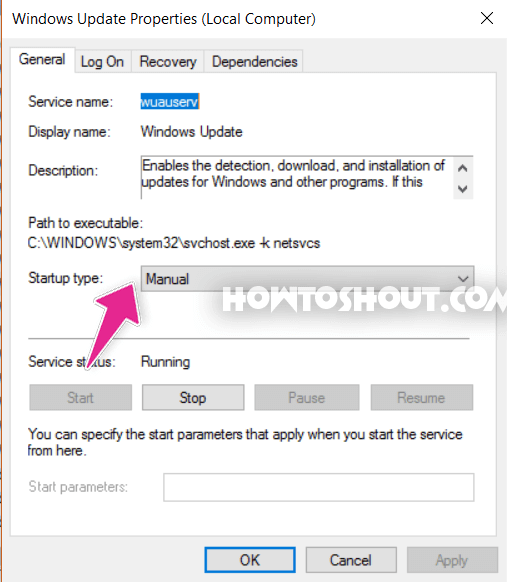 Below steps will help to use Windows Update Troubleshoot. Then reboot your PC and you’re done. Hope this method work for you and your problem has solved. So this is the last method and it’s the easiest method I’ve said above it will not only solve Windows Module Worker issue but also fix all other bugs and issues present in your Windows 10. 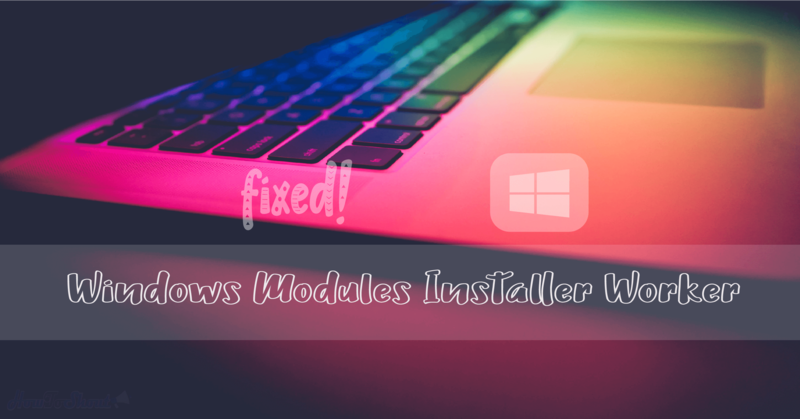 So, guys, this was the 4 proven methods to fix the Windows Modules Installer Worker error in Windows operating system hopefully your problem has been solved and you’ll now enjoy while working or playing games without any error or high CPU usage issues. TiWorker.exe is a useful tool we can’t say it cause the issue always, it installs all kinds of Updates on your PC which are necessary and important for your computer but when it is unstable it causes the Windows Module Installer worker error which leads to slow down your computer and drastically increase your processor’s fan speed. All 4 above methods are working if your colleagues are also facing the same issue in his/her computer or laptop and do recommend this article to him/her so it will help to solve their issue. If you liked this post then don’t forget to share on Facebook, Google+ and Twitter. If you want more articles like this one then do subscribe this blog to receive the update when we publish another article, stay tuned!